What distinguishes Asperger's Disorder from autism is the severity of the symptoms and the absence of language delays. Children with Asperger's Disorder may be only mildly affected and frequently have good language and cognitive skills. To the untrained observer, a child with Asperger's Disorder may just seem like a normal child behaving differently. Children with autism are frequently seen as aloof and uninterested in others. This is not the case with Asperger's Disorder. Individuals with Asperger's Disorder usually want to fit in and have interaction with others; they simply don't know how to do it. They may be socially awkward, not understanding of conventional social rules, or may show a lack of empathy. They may have limited eye contact, seem to be unengaged in a conversation, and not understand the use of gestures. One of the major differences between Asperger's Disorder and autism is that, by definition, there is no speech delay in Asperger's. In fact, children with Asperger's Disorder frequently have good language skills; they simply use language in different ways. Speech patterns may be unusual, lack inflection or have a rhythmic nature or it may be formal, but too loud or high pitched. Children with Asperger's Disorder may not understand the subtleties of language, such as irony and humor, or they may not understand the give and take nature of a conversation. Another distinction between Asperger's Disorder and autism concerns cognitive ability. While some individuals with Autism experience mental retardation, by definition a person with Asperger's Disorder cannot possess a "clinically significant" cognitive delay and most possess an average to above average intelligence. The essential features of Asperger's Disorder are severe and sustained impairment in social interaction and the development of restricted, repetitive patterns of behavior, interest, and activity. The disturbance must clinically significant impairment in social, occupational, and other important areas of functioning. In contrast to Autistic Disorder, there are no clinically significant delays in language. In addition there are no clinically significant delays in cognitive development or in the development of age-appropriate self-help skills, adaptive behavior, and curiosity about the environment in childhood. Diagnosis of Asperger's Disorder is on the increase although it is unclear whether it is more prevalent or whether more professionals are detecting it. The symptoms for Asperger's Disorder are the same as those listed for autism in the DSM-IV. However, children with AS do not have delays in the area of communication and language. In fact, to be diagnosed with Asperger, a child must have had normal language development as well as normal intelligence. The DSM-IV criteria for AS specifies that the individual must have "severe and sustained impairment in social interaction, and the development of restricted, repetitive patterns of behavior, interests and activities," that must "cause clinically significant impairment in social occupational or other important areas of functioning." The first step to diagnosis is an assessment, including a developmental history and observation. This should be done by medical professionals experienced with Autism and other PDDs. If Asperger's Disorder or high functioning autism is suspected, the diagnosis of autism will generally be ruled out first. Early diagnosis is also important; children with Asperger's Disorder who are diagnosed and treated early in life have an increased chance of being successful in school and eventually living independently. Because children with Asperger's Disorder may be only mildly affected, they may begin school prior to being diagnosed. During the elementary years, behavioral issues and immaturity may be a problem but academically, these children frequently do quite well. The ability to memorize information, do calculations and focus intensively serves them well. But as they move through the school system, difficulties with social skills, language and obsessive behaviors become more problematic and may leave them vulnerable to teasing from classmates. Getting special education services may be difficult because children with AS have normal or above normal intelligence and appear capable. However, every child with disabilities is guaranteed a free, appropriate public education through the Individuals with Disabilities Education Act (IDEA). Keep in mind that IDEA establishes that an appropriate educational program must be provided, not necessarily an "ideal" program or the one you feel is best for your child. The law specifies that educational placement should be determined individually for each child, based on that child's specific needs, not solely on the diagnosis or category. No one program or amount of services is appropriate for all children with disabilities. It is important that you work with the school to obtain the educational support and services that your child needs. The first step should be a comprehensive needs assessment that will become the blueprint for your child's educational plan. Then, in collaboration with your child's school and teachers, develop a well-defined and thorough Individualized Education Plan (IEP). The IEP is a written document that outlines the child's individual educational program, tailored to his or her needs. A program appropriate for one child with Asperger's Disorder may not be appropriate for another. While many children with Asperger's Disorder may participate in mainstream society, they still need support services. Teachers need to be informed that these children are not simply acting up or being difficult. Counselors can provide emotional support and assist with social skills, helping children with AS to learn how to react to social cues and situations. Children with Asperger's Disorder may use a "buddy" who serves as a role model for social situations and may facilitate interactions with others by explaining appropriate behavior. Speech and language therapists may help in the use of appropriate language and occupational therapists can deal with delays in motor development. 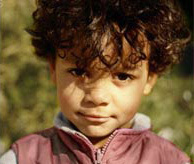 Dr. Stephen Bauer, a developmental pediatrician at the Pediatric Development Center of Unity Health in Rochester, New York, suggests that the most important step in helping children with Asperger's Disorder is for schools to recognize that the child has "an inherent developmental disorder which causes him/her to behave and respond in a different way from other students." Because children with Asperger's Disorder respond best to a regular, organized routine, Bauer recommends the use of charts and pictures to help the child visualize the day and to prepare him or her for any changes in advance. Bauer also emphasizes the need to avoid power struggles since children with Asperger's Disorder will become more rigid and stubborn if confronted or forced.